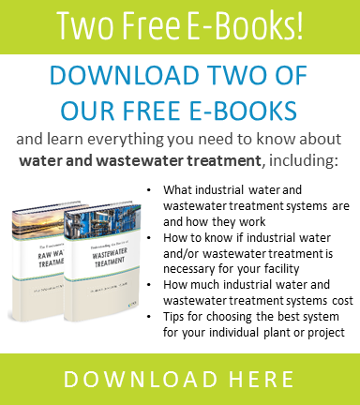 At a chlor-alkali plant in Charleston, TN, sodium chloride brine production depended on a reliable supply of high-purity feedwater. 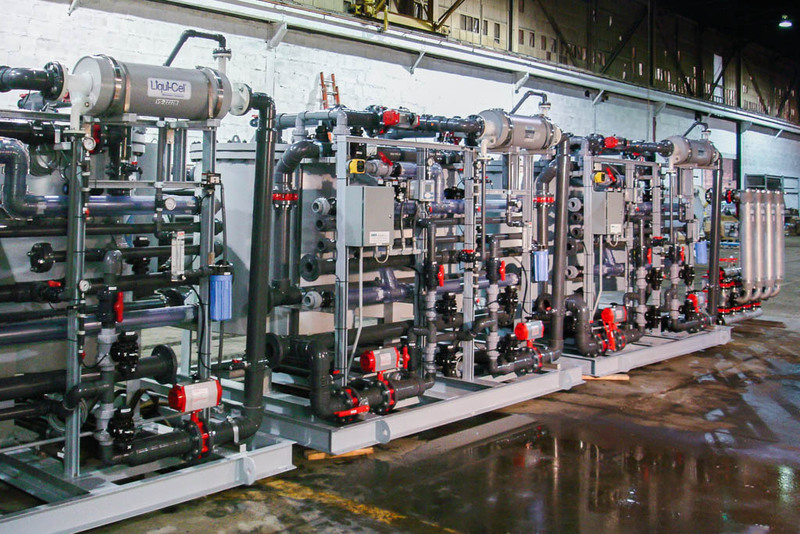 Leveraging ADVANCED AMBERPACKTM deionization (ADI) technology, SAMCO delivered a high yield ion exchange (IX) system that optimized production efficiency. Deionize blend of process condensate and municipal water to supply salt saturator feed for chlor- alkali product manufacturing. 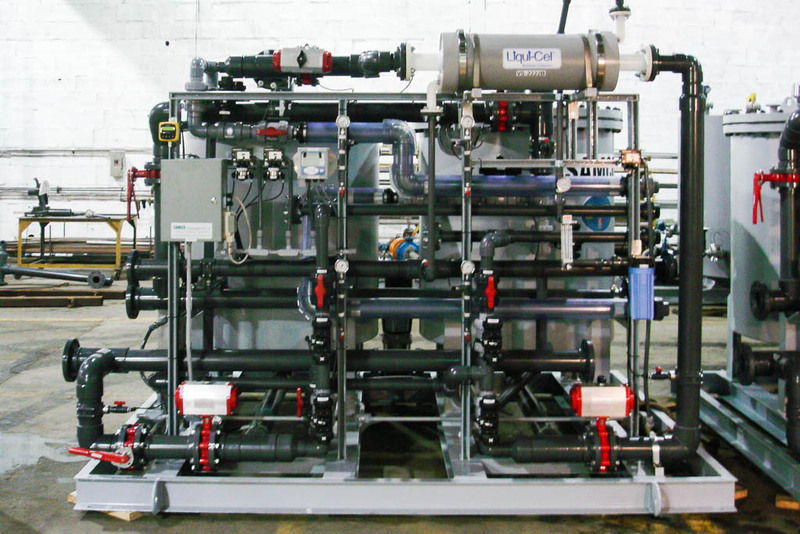 SAMCO delivered a turnkey IX deionization system, with the project scope entailing a comprehensive process, mechanical, and electrical design and engineering, fabrication, commissioning, startup training and support. 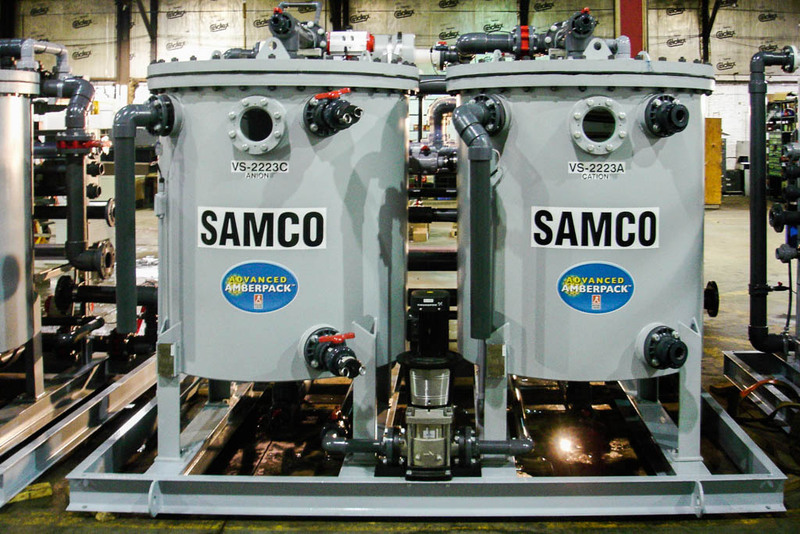 SAMCO delivered a 585 GPM IX system to provide a consistent source of high-purity feedwater to support the production of saturated sodium chloride brine. Leveraging ADI technology for maximum efficiency and reliability, SAMCO was able to cut production waste while producing sufficient purity for downstream electrochemical cells. The comprehensive system comprised three parallel IX trains, a backwash column for periodic resin regeneration, and peripherals. The system also included terminal boxes for optimal integration with customer-supplied DCS. To enable fast-track delivery and startup. 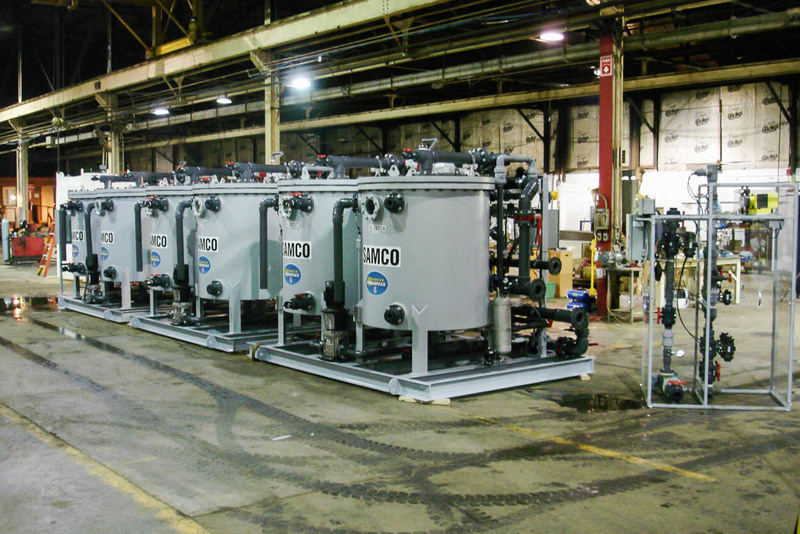 SAMCO performed comprehensive design, fabrication, and installation of the prepackaged system.